Restricting citizens from information flow is morally a wrong deed but many government do not bother to this fact. 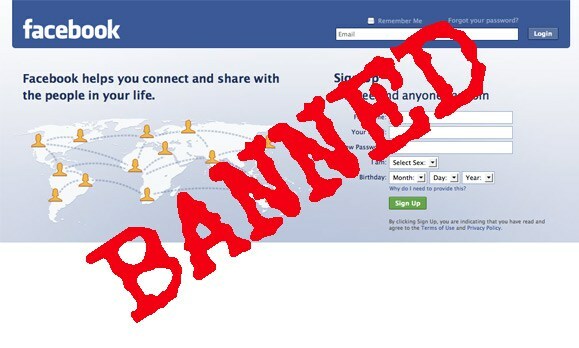 Recently it was reported that Bangladesh authorities insisted on almost a weeklong ban on Facebook and mobile messaging services. They want to ban the services until security in the tense country improved. On Wednesday, the government last ordered Facebook, WhatsApp and Viber blocked to be blocked over fears of unrest after the country’s highest court rejected appeals by two top opposition leaders against the death penalty for war crimes. The telecoms regulator said the ban would stay after the two leaders were hanged on Sunday morning, prompting calls for a nationwide strike and raising fears of violence from their supporters. “They [services] will be reopened the moment the government feels it’s safe,” Shahjahan Mahmud, chairman of the Bangladesh Telecommunication Regulatory Commission, told AFP. Commission spokesman Zakir Hossain Khan declined to confirm media speculation the ban would be lifted later Tuesday. In a response, analysts said that the shutdown was aimed for stopping opposition parties organizing rallies in the run-up to the executions, amid anger over what rights group have called “flawed and unfair” war crimes trials. The regulator also temporarily banned messaging services Viber and Tango in January after they became a popular way of mobilizing large numbers of activists for anti-government protests. In recent past, Bangladesh also hanged Ali Ahsan Mohammad Mujahid, from the country’s biggest Islamist party, Jamaat-e-Islami, and Salahuddin Quader Chowdhury, a key aide of opposition leader Khaleda Zia, after they were convicted of atrocities during the 1971 war against Pakistan. History is evident that social media and social media apps play the key role in modern revolutions and thus the governments do not take a chance for let the citizens come forward and speak for their rights. A large number of Bangladeshis slammed the ban on Twitter, saying it was curbing free speech and further fueling anger against the government. This is not it, but the Bangladesh’s fast-growing online retail industry said the ban has hit their business, with some reporting reduced sales. Such a ban on social media is an attack on free speech and depicts the insecurities of the government regarding people’s rights.